· Conduct operations in a safe manner according to company policies and procedures. · Observe proper rig operating procedures, noting unsafe practices. · Play an active part in HSE meetings, tool box meetings and all other company safety management systems. · Proficient in Safety Training Observation Program for employees and uses its techniques. · Pay particular attention to the safety of all floor crews fingers and hands. · Assist the Driller in operations on the drill floor. · Provide manual labour to operate tongs and other wrenches for making up or breaking out joints of pipe, set and pull slips, rack pipe, throw chain, stab pipe and perform other tasks necessary to drill a well. · Perform preventive and planned maintenance on drilling equipment. · Assist in repair of drilling equipment. · Keep drill floor and tools clean and organised. · Perform other duties as assigned by the Driller such as mixing mud, assist in slipping and cutting of drill line, preparing casing, etc. · Operate air hoist, pipe spinner, or iron roughneck when applicable. · Forms part of well control team during shut-in procedures as per the Company well control manual. · Carry out regular housekeeping, painting and routine maintenance of drill floor and drilling equipment. · Assist in specialised tasks such as rigging up, nippling up, running casing or other tasks as directed by the Driller. · Report any irregularities or safety hazards to supervisor. · Maintain floor tools, casing tools and various types of subs. · Work in a safe and careful manner to ensure personal safety and the safety of fellow crew members. B.Sc. in Marine Engineering and Naval Architecture. 1983 – Faculty of Engineering – Alexandria University. Project : Design and operate Jack-up Platform (Grade Excellent). WORK EXPERIENCE § Lead Barge Engineer NDC in UAE 1995 till now. On different types of drilling rigs at different places in Egypt & Tunisia. Maintenance Engineer for Exxon in California, USA from 1987-1990.
different General Cargos ships from 1986-1987. Mechanical Engineer For Santa Fe drilling company from 1985-1986. § Marine Operation of Self Elevating Platforms, Abrdeen Collage, UK-1996. § OIM Licenses, USA Coast Guard, USA-1995. § Marine Survival, University of Southwestern, Louisiana-USA-1995. § Instruction of OIM UNRESTICTED, Houston Marine Training, Texas, USA-1995. § Capability of managing and leading group to achieve organization’s goals. § Continuously improve the work procedures. My Knowledge In The Offshore Field For Almost Twenty Years Are Good Enough To Help Me Doing My Job As A Lead Barge Engineer For Daily, Weekly And Monthly Operation. Capable Of Carrying Out Any Upgrade, Repair Or Construction. I Had The Chance To Work On NDC Latest Jack Up Construction Operations Project In Singapore B-260 During 2004/2005 Rig Al Hail As Senior Project Engineer and Assistant Project Manager. With Additional To My Experience In Upgrading Rig Key Victoria For Santa Fe In 1994/1995 And RIAP Project For NDC Rig Al Ittihad 2003/2004. I Have Done More Than 100 Rig Moves. v I Am Capable Of Doing Rig Move Preparations, Calculation, After Move Preparations Such As Maintaining Preload Tanks And Valves. v Also Maintaining All Rig Assets Such As Cranes, Life Boats, Bulk Cement Tanks, Bulk Mud Tanks, Life Rafts,Co2 System, Fire Extinguishers, Skidding System, Jacking System, Void Tanks, Bilge System, STP, OWS, Loading Stations, Anchor Winches, Loose Gears, WTDS, Hatches, Safety Equips. SCBA. I Had The Chance During The Last 20 Years To Work On Different Rigs, Cranes, Life Boats And Jacking Systems Plus I Am Deeply Involve In The Rig Maintenance Program , Drilling Operations ,Requirements, Budget, Major Maintenance And Cost Control. As Lead Barge Engineer my role includes supervise the daily operation such as working with Boats, painting projects, any welding and fabrication work, sub-contractor work, daily PM for rig mechanical and electrical equipments, safety equipment such as fixed fire extinguisher systems, survival system such as life boats and life rafts, lifting equipment such as cranes. Over 21 years experience in the Electro-mechanical field with expertise in the following: Supervision, fault finding, safety, projects management, training, preventative maintenance, service inspections, load testing (up to 120 ton), and quality control. · Rewiring of complete grasshoppers as well as cable pontoon for extended drilling on various holes for skidding system. · Rewiring and cabling of all mud tanks and repositioning of all instrumentation sensors and cabling and calibration. Rigsense. · Servicing of generator sets and all electrical equipment on power supply units. Caterpillar Engine and LeRoy Somer Gens. · Reassign units in MCC to meet new demands for new equipment as per customer requirements. · General reconditioning of all electrical equipment from rig purchased for previous operator/contractors. · Rig to be shipped out to Iraq for new drilling project. · Rigging up, drilling of wells in Iraq. · Supervision on the 5 year reconditioning of rig equipment and repairs. · Fault finding on generator sets and Woodward governors on Wartsilla generators. · Graham Hill SCR system fault finding and general condition assessment. · Fault finding on Jack-up system circuits and motor gearbox assemblies. Torque of pinions for equal weight distribution. · Checking of electrical circuits on fixation systems. · Checking and operational testing of emergency rescue boats and control panels. · Supervision on the building of new rigs in Lamprell yard. (Rig 828 & Rig 829) – Woodward. · Assisted with the commissioning of equipment for drilling projects. Le Tourenau AC-VFD. Caterpillar 3512 B generators with Kato gen sets. · Did daily progress reports on project as well as identifying problems and changes to be done to rig for more effectiveness. · PM systems and BMS of company requirements. · Bomco draw works and mud pumps. · Martin Decker rig sense instrumentation. October 2008 : Nabors Drilling International LLC. · Assisted with the rig-up of the electrical equipment. · Commissioning of equipment for drilling. · Caterpillar generators 3512 B with Kato gen sets. · Bringing generators into circuit for SCR (IPS) equipment. · MCC house wiring and controls. · Maintenance and reconditioning on traction motors for draw works and mud pumps. · General daily maintenance on all electrical equipment (MCC). · Varco TDS4- Top Drive electrical maintenance. · Stripping of all rig equipment and complete reconditioning. · Assessment of equipment and resourcing of materials. · Daily maintenance of plant (yard/camp) and equipment as well as preventative maintenance. · Reconditioning of pump motors, sump pumps, shale shakers, agitators, centrifugal pumps, wire drawing machines, hydraulic pump motors, lightning circuits, water well pumps etc. · Testing and repairs of control panels and electrical MCC. (Skytop Brewster TR800). Telescopic mast. · Gardner & Denver Mechanical Mud pumps. · Perkins Generator sets maintenance and faultfinding. · Installation and calibration of mud system sensors and instrumentation. · Complete drilling to TD as set with-in goal time period. · Daily assigning of technicians to duties and jobs. · Supervise all work done by staff members and report back on ongoing work and projects. · Timekeeping, leave management, performance appraisals and salaries as well as interviews and recruiting new staff. · Quotations and cost estimations on new projects as well as ordering of equipment and spares for new projects. · Fleet management on all vehicles and store keeping. · Customer care and after sales service on all lifting equipment. · Running daily operations of company in overall. · Daily repairs, faultfinding, upgrading of control panels, reading of wiring diagrams, building panels. · Installations of structures and commissioning on new equipment. Remote controls, drives, inverters, etc. · Standby duties for quick response on call-outs. · Daily breakdowns, faultfinding, maintenance, sales, thermo-coupling of the curing process taking place inside high pressure chambers. Control panels for the above mentioned equipment was held in working order. · Changing of heating elements and checking of air ventilation inside chambers during operations. · Building of new machinery, maintaining and upgrading of existing machinery. · Plant lay-outs, power supplies to new plants and commissioning of new plants and equipment. · Electrical maintenance to compressors. · Customer care and after sales service. · Started my apprenticeship as Electrical Fitter and qualified in 1992. · Daily hands-on experience in the maintenance, breakdowns, intermediate faults, shedding, repairs, modifications, testing and logging of faults on trains in the DC industry. · Both electrical and mechanical experience was gained during this time. · Rebuilding of HT. and LT. panels was done from time to time.(110v-3000v). Direct current (DC). · Lighting circuits, heater circuits, compressors, exhausters, motor-generators, motor-alternators. · DC traction motors, drives, speed controls, gearboxes, switchgear, pantographs, bogies, bodies, wheels, resistor banks, valves-pneumatics, hydraulics, vacuums, buffers, etc. · 2006: PLC Introduction Course (Toshiba). · 2008: Offshore Survival Course (HUET) - Expires February 2011. · 2009: VDF & Soft Starter Course (ZEST). · 2011: Offshore Survival Course (HUET) - Expires May 2014.
: All aspects of the Daily Operation of the drilling rig. 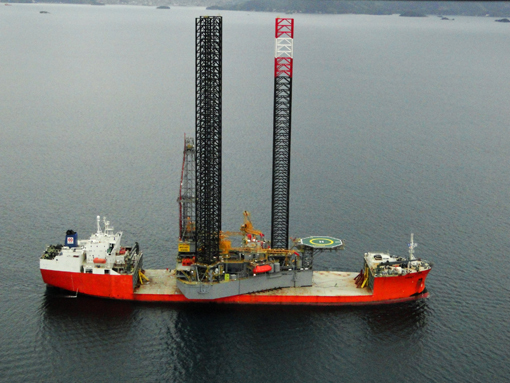 : Rig is rated at 4700m with a Allen Bradley SCR System. Pertaining to the Top drive system. : Training Crews Top Drive maintenance and Safe Operating Procedures. - Operates and understands the Ballast Control System and Power Management System. - Prepares route and other navigational aids for passage, keeps charts up to date, navigational watch. - Maintenance and testing GMDSS equipment. - Maintenance of Fire Fighting Equipment and Life Saving Appliances compliance with the Ship Fire and Safety Plan. - Offshore operations on Shuttle-tankers: mooring to FPSO and SBM, loading and discharging operations ,ballasting. - Keeps the vessel on Auto-position mode and control manually. - ROV and Crane operations. Understanding of ISM & ISPS systems.Effectively implements and monitors company HSE policy and procedures ensuring all work carried out onboard the ship conforms to company HSE policy and procedures. Controls and issue company safety documentation as detailed in company policy , Safety reporting, and other company policy's as required. Ensures all on signers carry out safety induction & familiarization training. Prepare and be a leader on monthly safety meetings. I am a very assiduous young man and also a very quick learner. I am sure I will be an asset to your company in the future. Thanks in advance for consideration of my application. (2) COMPUTERS – MS OFFICE, INTER NET, SAP. As a Executive Electrical & (awareness of Mechanical &Instrument side also) in Petrochemicals, Refinery, Oil & Gas Field, Power Plant, Desalination and chlorine units Plant, Chemical Plant, Crusher & Screening Plant, Water treatment Plant, Boiler + turbines Plant and Sub Station. Qualified as a Diploma Electrical Engineer from ORION INSTITUTE OF MANAGEMENT& TECHNOLOGY, Baroda, India, Qualified Electrician Apprentice from DIRECTORATE OF EMPLOYMENT & TRANING, Ganhinagar, & As an Electrician from INDUSTRIAL TRAINING INSTITUTE, Gandhinagar, with an extensive of 14 years professional experience in the Erection, Commissioning & Maintenance of Electrical Sub-Station and plants, Especially in Petrochemicals, Refinery and Oil & Gas. · First Aid Training conducted by St John Ambulance. · Fire Fighting Training Conducted by Reliance Industries Ltd.
· Permit To Work Conducted by Cairn Energy India Pty Ltd.
• Design calculation for switchgear panels, lightings, power cables etc. • Co-ordination with engineering consultant, inter discipline & Site co-ordination. • Preparation of material submittal & taking approval from client. • Procurement of electrical equipment’s like transformer/switchgear / distribution boards/ UPS/HV & LV cables/ capacitor bank/grounding material / cable trays /trucking /conduits etc. • Reviewing of Vendor Drawings/Document & clearance for manufacturing. • FAT (Factory Acceptance Test) attending along with client. • Preparation of Erection schedules. • Commissioning of 11KV Switchgear/6.6KV Switchgear/ LV Switchgear/UPS/Panels/transformer etc. Presently working in Operation & Maintenance of HV/ LV panels of 11kv/3.3kv/440V, Circuit breakers such as VCB, OCB, ACB and Transformers, Isolators, Lightning arrestors, Earth switches & Earth pits, Capacitor banks, Battery chargers, UPS, Batteries, Lightings. SAP PM. Worked in Cairn Energy India Oil & Gas Project (Rajasthan Northern Development Area) at Barmer, Rajasthan as an under the contract of Brunel India & Sach-electro Mack. Operation & Maintenance & SAP-PM of HV/ LV panels of 33kv/11kv/6.6kv/440v,48 MW power plant, Circuit breakers such as VCB, SF6, OCB, ACB and Transformers, Isolators, Lightning arrestors, Earth switches & Earth pits, MCC., PCC., All kinds of Motors & motor starters, Capacitor banks, Battery chargers, UPS, Batteries, Lightings. Worked in as an EXECUTIVE ELECTRICAL with CES-Electrical in RPL. RPL is a subsidiary of Reliance Industries Limited. RPL has set up a green-field petroleum refinery and polypropylene plant in a Special Economic Zone at Jamnagar. 1 Scheduling installation of various electrical systems and ensuring their commissioning as per RIL standards. 2 Erection, Commissioning, Troubleshooting and maintenance & SAP-PM of below mentioned electrical systems. 3 Validating commissioning reports submitted by vendors. 1 AC UPS Systems ratings: 1.0 KVA to 500 KVA. 5 Battery chargers, Batteries & heater panels. Also worked as a Supervisor in the Erection of Transformers up to 50MVA, 132KV Gas Insulated switchgear, 11KV Air Insulated Switchgears, Capacitor Banks, Bus bar protection Panels, AVR Panels,850 MW power plant, DCS, SCADA, Telecom, DC Charger panels, Battery System, UPS system. From July 2006 to July 2008 RUBAMIN LTD, Halol.
. Termination at MCC & DCS panels & Motors. Installation of cable trays, internal wiring of Distribution Board & Wiring of multi store building. Lying of HV, LV & Control cables and Termination of the same. Knowledge of Calibration of instruments, Instrumentation Tubing, Installation of Thermocouples, RTD, sensors, Heat Detectors, Flame Detectors, Ultrasonic level sensors, Digital level sensors, Zero speed sensors, Pull chord switches, loop checking & field communication in testing equipment’s. From December 1999 to July 06 SRPML, Bharuch. Operation & Maintenance of HV/ LV panels of 66kv/11kv/440v, DC Motors ,DC panels, Circuit breakers such as VCB, SF6, OCB, ACB and Transformers, Isolators, Lightning arrestors, Earth switches & Earth pits, Capacitor banks, Battery chargers, UPS, Batteries, Lightings. Motor Starter: DOL /, F & R.
DC Motors up to 330 KW, 440 VDC. PLC Siemens, Allen Bradley make. Worked as an Electrical Technician & Supervisor in INDIAN PETROCHEMICAL LTD, DAHEJ. (UNDER CONTRACT OF MAHAKALI ELECTRICIAL). Working safely by following Permit to work system, conducting tool box talk meeting every day before the start of job. Nature of job includes Erection & commissioning of Transformers, Motors, and LV/MV/HV Panels including Breakers such as vcb’s, sf6, ocb, acb and batteries, battery chargers, UPS, flame proof lighting systems, fire alarm system. Cable jointing and termination. Worked as TECHNITIAN (ELECTRICIAN) MAINT. & OPT. WORK EXPERIENCE Worked with Pride Forasol Drilling Company as an Asst Mechanic from 11th November 2003 to 24th October 2004. Worked with KCA Deutag Drilling Company as a Rig Mechanic from 07th November 2004 to 20th February 2006. Worked with Saudi Arabia Saipem on Jack-Up Rig as a Chief Mechanic form 16th March 2006 to November 2009. Worked with Vantage Offshore Drilling Company on Jack-Up rig as a Chief Mechanic from December 2009 to April 2010. Worked with Schlumberger Drilling Company as a Chief Mechanic from 12th May 2010 to 05th March 2011. Worked with Mari Gas Drilling Company Ltd as a Chief Mechanic from 10th March 2011 to 25th August, 2011. Worked with National Drilling Company in Abu Dhabi as a Chief Mechanic from 12th September, 2011 to till now. Engines : 3512 B, 3406. - Diesel and Turbine Engine experience. drawing and CNC programming programs. I was signed up with Transocean in 2008 under the MCH program. Although the training required me to work sometimes over twenty hours a day I have managed to complete all the required training modules as well as the practical tasks. All the computer generated test I that were required, I passed with no difficulty. Day to day Maintenance on all equipment. Repairs & rebuilding of pumps and all drilling associated equipment. Manufacturing and machining of parts. Mud Pumps Oilwell 12-P-160, 1600 hp, triplex pumps. Managing Maint Team and assisting OIM onboard the Stack Nest. Helping out as Chief Mech. on the Sedco 701. At this time we have seven Jackup’s and one Semi Sub. (Aleutian Key) stacked in Gabon. All of the rigs needs daily maintenance and repairs. Mud Pumps Oilwell A-1700 PT, 1,700 hp, triplex pumps. Mid Career Hire (Chief Engineer) Day to day Maintenance on all equipment. Repairs & rebuilding of pumps and all drilling associated equipment. Manufacturing and machining of parts. Mud Pumps Three National-Oilwell 12-P-160 pumps. Day to day Maintenance on all equipment. Repairs & rebuilding of pumps and all support systems such as water purification and breathing air compressor. Manufacturing and machining of parts on Lathe, Milling and general workshop machines. Design and drawing parts for manufacturing, purchasing and training purposes. Maintenance and repairs on all Diesel Engines and Turbine Generators as well as Turbine High Pressure Compressors. Sea Water Injection, Seawater straining and filtering plant. Ordering and coursing of spare parts. Electronic Permit to work and Hazard Identification. Emergency fire team and when required Helicopter refuelling duties. Training and assisting national trainees in there mechanical training and computer aided drafting. Mechanical/Diesel Technician Day to day Maintenance on all equipment. Repairs & rebuilding of pumps valves and all life support equipment. Manufacturing and machining of parts. Service and maintenance on all cranes. Maintenance and repairs on Natural Gas separation plants and transfer systems. Production and maintenance planning. Parts sourcing and buying of equipment and machinery. Started my Apprentice training and work my way up to mechanical foreman in the time that I spend working underground on this Gold mine. - High-level technician option: electro mechanics (Algerian Institute of petroleum) of Hassi Messaoud (Algeria). -Training on (A.P.I) which contain: Zelio; Twido & Step 7(PLC). -From: 07 /05 / 2010 to 05/25/2011. -Position: Chief electrician, with Weatherford Company (W.D.I), the rig: VFD System (ACS 800 1230-7NR) (N.O.V); based on an Amphion controls operators system, which completes the evolution from a PLC, and each drilling tool is supplied by fiber optic cable. The drilling tools controlled by the touch screen; joystick and switch & controls from the workstation. Each engine rig controlled by electronic system called (MTU) its generator (BAYLOR) carried 1750 KVA, 1200 rpm, 1684 Amps, cosø: 0.8. The TDS-11SA (VARCO) supplied with step 7 (PLC). -From: 06 / 04 / 2007 to 06 /25/ 2010. With NWD company in LYBIA. -Position: Chief electrician, the rig model: ZJ70D drilling rig electrical based on SCR system; its speed controlled by SIMOREG DC MASTER (serie 6RA70) and PLC system. TDS-11SA (VARCO). Drowwork motor: YZ08; YZ08A; DC motor; 4poles serie; 800KW.All electrical motor (AC) ≥75HP controlled by soft start-soft stop unit (Altistart 48). -Job: electric, electronic digital at parker 264 rig with AC all asynchrony electric motors (MCC), (VFD) and (PLC) system, TDS-11SA. -From11/01/2006 to 09/28/2006 training with Bomco company in (Baoji china) on the AC (VFD ) system and (TDS-11SA) PLC system (VARCO). - From 06/01/2003 to 03/22/2005. - Position: supervisor in (CEGELEC) (FRENSH Company) in new airport H.B Algiers. -Job: electric and electronic maintenance at schlumberger rig# 47 & rig# 48 Drilling international with SCR Ross-Hill drive, AC alarm system and communication system. -Position: high-level technician in electro-mechanics at (ENTP: SONATRACH) (Algeria). -From 1977to 1980 National drilling (ENTP: Sonatrach). 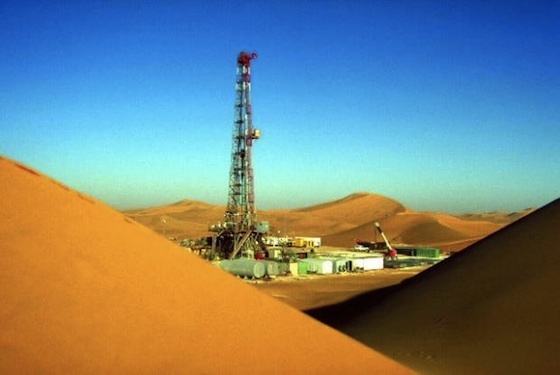 -Job: Training at National drilling (ENTP: Sonatrach) in (I A P) (Algerian Institute of petrolum) of Hassi Messaoud (Algeria) at oil well 2000 rig. - French: spoken and usually writes. - English: spoken and written average. Arabic: Proficient in Arabic language, literature and culture. COMPUTING KNOWLEDGE: ( ICDL ) Computer literate with experience in Microsoft Word (Arabic/ English) and very good working knowledge of computer maintenance and Internet. Drilling Senior HSE Supervisor. Theattached resume covers my 15 years of Fire, HSE experience and outlines my abilities as a leader and supervisor. 15 years of this is Onshore /offshore, Drilling / oil & gas / on-shore, Drilling, experience in PTW, Fire & HSE. I am seeking an International employment anywhere around the world except Iran. At present, I am working with Saudi Aramco for On &offshore drilling project as (B2B) Senior Drilling HSE Supervisor, In addition to English; I speak Persian fluently, Arabic and Italian basically as well. Career Objective: Seeking an International position as a HSE personal, where my previous HSE Engineering experience as well as my leadership abilities and skills will help me to obtain your company's mission. 1. Contribution in achieving of 6 Million man-hours LTI Free of Onshore drilling campaign Project. Worked / Acted as Focal Point in HSE Department Belongs to OMV Yemen BV. 2. Contribution in achieving of 9 million-man hours LTI frees of Onshore Drilling campaign of SASOL Petroleum Mozambique Ltd project. Delegate On Offshore Senior HSE Superintendent when formally authorized. 2. Solved every HSE matter on site during construction, commissioning, startup & drilling operations to achieve the targets of 0 LTI, through Safe Work Practices, Proper Waste Disposal & Environmental Damages Prevention by promoting and developing HSE Culture & Awareness through incentive schemes, Proper Risk Assessment, & Implementations of Permit to Work System, Critical Activities on Hazardous Locations, PPE, Safe Storage and handling of chemicals, Standards, Procedures & HSE legislation & Plan. 3. Contribution in achieving 3 million man-hours LTI Free on & offshore drilling operation by implementing Company’s HSE Policy, Procedures & Standards for Saudi Aramco, Saudi Arabia. 4. Contribution in achievement of 4 million man-hours LTI free of Eni Iran BV, drilling campaign onshore Project by implementing Project HSE Plan & Procedures through subcontractor. 5. Contribution in achievement of ISO 9001 (Quality), ISO 14001 (Environmental) and OHSAS 18001 (Health and Safety). Zero lost time incidents on the Project. From 01 Aug 2011 till todate. · Reports directly to the DSV to support the day to day HSE management and long range stewardship of the drilling unit. · Conduct the weekly General safety meeting, different departments (Head of department, Marine, Drilling, Technical and third parties companies) meetings, prepare the Minutes of meeting, and Assist in the promotion of HSE Awareness campaigns and safe working practice. · Monitor and participate in regular inspections and audits to be carried out in accordance with company policy. · Train and mentor personnel in Permit to Work System and monitor compliance and the effectiveness of the system. · Perform a daily sample audit of the PTW system to ensure permits are initiated, prepared and closed correctly with JSAs and certificates attached a required for the scope of work. · Personally demonstrate a strong commitment to Drilling HSE Management System. · Evaluate and develop training programs aimed towards ensuring the competence and safety of drilling operations. · Inspect firefighting equipment (hoses, extinguisher, fireman’s suits, BA sets, etc.) to ensure that equipment is in working order. · Follow up any action plan or outstanding audit points until completion, maintain up to date status. · Ensure that all personnel are aware of the training requirements laid out by Drilling in accordance with the training matrix. · Orientate new employees on arrival on board the rig. · Safety objectives that are set onboard the unit are met and feedback is given to Rig Superintendent. · Regularly tour the rig for safety hazards and have imminent hazards corrected immediately and all other hazards as soon as possible. · Demonstrate personal commitment to the HSE management system. · Investigate accident, Incident, Near miss, and prepare the report. · Prepared daily and Monthly HSE reports. · Administrator of safety hazard observation card (SHOC) and ensure the open SHOC are closed as required. · Manage the weekly and Monthly SHOC winners. · Attend the weekly hygiene inspection for accommodation. · Investigate accident, Incident Near miss and prepare the reports. · Administrate the weekly and monthly incentives schemes (weekly SHOC winner, and Monthly SHOC winners). SASOL Petroleum Mozambique Ltd, Remote Location: Jungle and bushes. From 20.05.2008 till 23 July 2011. · Conducts risk assessments for all areas of work in coordination with the company man and drilling superintendent; regularly checks that necessary safety precautions are followed. Daily coordination- and monitoring of safe working practices for ongoing activities onboard the Rig. Ensures safe rig operations by implementing and maintaining approved health, safety, and environmental protection systems (HSE) and programs on the assigned rig. Participate in Wells related meetings, e.g., Operations meetings, Well site Supervisors meetings and Drilling Contractors meetings. Perform daily/weekly Rig site walks with Contractor HSE and management personnel; note deficiencies and track action items. Deliver HSE services to client against agreed scope of work to meet KPI requirements including monthly reporting of performance and service delivery. Conduct and participate in reviews, inspections and audits of drilling contractor and 3rd Party Contractors on remote location. Assist with industrial hygiene surveys as appropriate to ensure that employees are adequately protected from hazards. Recommend controls for exposures and assist in implementation as needed. Assess and support contractor’s Drilling HSE advisor if needed. Lead in the development and execution of rig-specific health and safety assurance processes and rig site safety management programs. Fully participate with maintaining the ISO 14001 - 2004 Environmental Accreditation at rig site. Participate as required in accident/incident investigations. Review carefully PTW, hot work and entry permits prior to issue, to ensure compliance with the Standard rules in force on the Company drilling HSE requirements. Provide leadership, advice and guidance on health, medical, safety, security, and quality issues with a focus on sustain ably minimizing operational risk and achieving best practice. Liaise with HSE representative of Client / owner to organize the required numbers of inspections / audits as per Contractor’s HSE Plan. Attend/conduct regular meetings with client & drilling Contractors representatives to discuss/agree safety standards, concerns & potential hazards. Conduct weekly camp inspections and also general hygiene and food inspections of accommodation messes jointly with the Medic, and log the open items into HSE action tracking register. Perform regular Safety Compliance Inspections and audit of Contractor to ensure implementation of safe working procedures & best practice. Conducting incident investigations to determine root cause(s) and contributory factors; the reporting of findings to Management and suggestions for follow-up actions aimed at preventing a reoccurrence. Developing and maintaining systems and procedures to identify and improve the company’s HS&E performance. Be present at morning/before shift Tool Box Talks and offer assistance as and where necessary. Ensure weekly fire, man over board, and POB, Muster drills were conducted. Perfromed HSE induction for new employee, crew change, and visitor. Reports to the H&S Team Lead and acts as the senior HSE representative within the Site. From Feb.04, 2006 till 10.05.2008. Risk assessments, inspections, audits, and accident investigations; sets a personal example. Take immediate corrective action to rectify unsafe conditions. Inspects and organize the repairs facility safety and emergency response equipment. Plans are maintained and posted. To provide full HSE Management support in Drilling as well as back up support to offshore rig. Carry our Audits and Inspections during drilling operations. Implementation Waste Management programmes in the drilling rig and operations base. Conduct weekly fire, abandon, and man over board and oil spill response drills. Daily reporting to the Offshore Safety & Environment supervisor on all safety related activities onboard the installation, well sites and Rig. Provide inductions / orientations (H2S) to new comers (Employees) and visitors on platform, well site, and rig. Collate HSE data from all project departments and issue as a weekly report to Project Management. · As HSE Drilling supervisor contribute to the development of HS&E Policy and practice as well as delivering HS&E excellence for the company’s offshore drilling operations. Checks and maintain all Marine life saving appliances and marine distress equipment. Implement emergency response plan and coordinate and manage emergency response drills. Providing support to ensure that non-conformances, defects and deficiencies relating to HSE matters are reported, and that corrective action is taken to prevent recurrence. Carrying out internal and external safety audits of offshore well sites, rig and any subcontractor activities. Inspect all installations in order to check possible fire/pollution hazards and should they exist, ensure that they are eliminated as soon as possible. Conducting of periodical safety- and toolbox meetings with other departments as well as contractors. Fire Team Leader in case of an emergency, reporting directly to the Safety & Environment Coordinator and the Emergency Control Center onboard the rig. Drawing up scenarios for onboard rig fire-, safety- and rescue drills. Administering the weekly, monthly and annual reports on all aspects of the Field Safety & Environment Department, Leader of Heli-deck Fire Team during helicopter landing and take-off. Carry out HSE impact assessment, identify main areas of concern and provide recommendations and solutions. Client Drilling Senior HSE Supervisor, Onshore Rig, Dessert, remote location, Iraq border. Provide full HSE Management support to Company Man / rig Manager on Development Drilling Project Onshore sites. · Checks and review opened Work Permits during the task, take corrective action if needed. · Observes (people working and situations) and assists in development of Job Safety Analyses as required. · Inspects work areas to be free of risks. · Advises onshore and offshore management in the implementation of safety policies requirements, including statutory requirements, client policies and procedures, client requirements in liaison with the Safety Department, and industry best practices. · Advises work forces on gestures and postures. Conduct a full course of H2S Safety for first time personnel or a specific briefing for personnel who are already fully trained; assure that all personnel are made aware emergency procedures, evacuation routes and muster points on location. Audit all H2S and Fire Safety Equipment on site that is supplied by Client / Contractor and report any discrepancies. Act as principal focal point for HSE related matters between Client, Contractors and Vendors. Provide immediate reporting of all accidents/injuries/incidents and near misses occurrences witnessed. · Participate in emergency response activities and accident investigation. Monitor and supervise the subcontractor H2S servicer provider. Ensure all HSE procedures are followed, implemented during drilling operations. Make visit the drilling subcontractor well sites to ensure they are comply with the client HSE requirements. Conduct daily tool box meeting when required. Make inspection of all lifting equipments to ensure that they are safe to use, certified (SWL Certificate) and color-code. Conduct the emergency response drill (Fire, H2S released) to ensure every body is aware the emergency response requirements. Prepare weekly, monthly HSE Statistics report. Keep register the all PTW, monitor closely, and make inspection to ensure all PTW requirement are implemented, followed, and supervise then gas testing. Make inventory of all emergency response equipments up to dated, and ensure that they are ready to use in case of emergency. · Solved every HSE matter on site during drilling operations to achieve the targets of 0 LTI, through Safe Work Practices, Proper Waste Disposal & Environmental Damages Prevention by promoting and developing HSE Culture & Awareness through incentive schemes, Proper Risk Assessment, & Implementations of Permit to Work System, Critical Activities on Hazardous Locations, PPE, Safe Storage and handling of chemicals, Standards, Procedures & HSE legislation & Plan. · Evaluate competency of contract personnel at Supply Base involved in materials handling and technical integrity of contractors’ mobile plant. Client Drilling Senior HSE Supervisor, Drilling operation, Work Over, Well testing, completion Onshore Rig, Dessert, Remote location. Provide direct support to drilling & wells operations and oversight of contractor loss prevention and site safety field programs. Focus is on identifying of unsafe conditions and behaviors and working collaboratively with the contractor Safety personnel and line to prevent and mitigate potential loss. Identifies and analyzes field drilling & Wells hazards and risks and takes necessary steps to mitigate these risks, including stopping unsafe work or unsafe acts / behaviors Works directly with Contractor management on safety concerns, including organizing safety stand-downs and safety Interventions with Contractor management to maintain a safe work environment . Provides guidance and coaches personnel on identification of operational risks and facilitate implementation of measures to minimize risks. Co-ordinate safety efforts on company operations and liaise with and support contractors in maintaining focus on all safety related issues and help identifying underlying trends. Lead / participate in incident investigations as required. Should be accident/incident investigation trained. · Implements and manages the HSE Program and the Injury and Illness Prevention Program of the facility. · Ensures compliance with the hazardous materials disclosure reporting requirements by updating facility procedures and documentation. · Administers the safety aspects of the facility’s lifting and rigging equipment program. · Reviews and comments on Job Safety Analyses performed by others. Assists in development of Job Safety Analyses as required. · Administers the Permit To Work System. · Performs accident investigations and completes, maintains, and disseminates required accident reports. Conduct the HSE Induction course and H2S refreshment training for drilling rig crew, new employee, Visitor and when the crew change. Review major contractors’ facilities, equipment and operational procedures for HSE compliance, ensure that they meet contractual obligations as a minimum and continue to monitor for the duration of the project. Review drilling contractors HSE management system and produce a bridging document between contractor and client. Review existing ERP and ensure effective levels of Emergency Readiness are established and tested on a regular basis. From Nov. 2002 – July 2003. · Serve as platform lead to drive incident reporting, investigation and follow-up. Participate and/or lead incident investigations as appropriate. Liaise with central HSE functions to ensure environmental, industrial hygiene, medical, health and safety programs/procedures are all available and updated. Assure that Operations understand and fulfill their responsibilities within such programs/procedures. · Incident and near misses investigation, control measures as per the lessons learnt, investigation and follow-up of First Aid injury, Trend analysis etc. · Review existing ERP and ensure effective levels of Emergency Readiness are established and tested on a regular basis. · Ensure that company HES requirements are met during the drilling operation of the hull and marine facilities. · keep informed Project Rig Operation Manager and HSE higher authorities on relevant HSE matters and to maintain adequate information’s on HSE including the upkeep of HSE records. · Participate and coordinate in all aspects of HSE trainings, drills and provide consultations, guidance and expert advice for implementation of Client’s / Contractor’s approved HSE Plan and procedures on project sites. · Acting as focal point for safety programs & initiatives e.g. STOP, Safety Suggestions Schemes etc. Mentoring, training and developing trainees as and when assigned. · Perform New-Hire Orientation training. Provide training to employees on relevant HSE regulations and Company programs. · Coordinates with the PIC and members of rig safety committee to ensure regular safety meetings are planned, organized, and executed according to client guidelines; calls additional meetings as needed to address special situations and circumstances. · Recommends improvements to the Safety Management System, Emergency Response Plan, and health and environmental programs. · Participates in weekly and pre-tour safety meetings, presents occupational health briefings. · Follow all QA/HSE policies and procedures and performs all duties in accordance with the Permit to Work System. · Conduct monthly HSE Meetings with available employees and perform a Monthly HSE Inspection of the platform. Advising on emergency response procedures and their compliance at all operations locations. Monitoring the close-out of corrective actions arising from all HSE activities. · Monitor and Support the implementation of the District HSE Plan in regards to HSE Performance, act as focal point for the Incident Investigation & Reporting System. Additionally to provide advice on all Safety issues relating to the client. operations line departments as required, and to support the District HSE Department in discharging its activities as set out in the HSE – MS and HSE Case’s, HSE Plans, HSE Policies and Procedures. Assist local and international contractors with HSE processes in line with the company/contractor management requirements involving: interface documents, HSE cases and HSE plans. · Ensure to close out the related Non-Conformance Reports (NCR) and supervising HIP meetings as well. · Leader of Heli-deck Fire Team during helicopter landing and take-off. Conduct employees training assignments (safety orientation / induction for visitors and new employees, fire drill, oil spill plan containment, safe lifting and rigging operations, accident emergency procedures, using of fall protection equipment, confined space rescue procedures, avoiding back and muscle strain sessions and hazard recognition and identification). Prepare Job Safety Analysis and conduct pre job safety meeting for the critical operation. Coordinate and make sure that BOP equipment is fit for the purpose and ensure proper procedure is in place. Follow up training programs for all drilling personnel. Maintain records of personnel to ensure that refresher courses are been taken. Encourage drilling personnel to fully comply with Company HSE Procedures and Standards. Conduct safety meetings, review and update procedures to prevent accidents. Inspect firefighting equipment and other auxiliary equipment such as SCBA, SABA, and Cascade System, (fixed and portable) gas monitoring system and so on. Initiate and participate drills and site- specific contingency plans for high concentration of H2S and Systematically track the planning and progress of plans and drills to be sure they are fully understood by rig personnel. Conduct emergency drills i.e.H2S or Gas drill, Fire Drill, BOP, Medivac Drill, Disaster Drill and train personnel the proper response for emergency. Coordinate safety activities among Client, Forasol and its subcontractors and any other individual’s contractors who may be working on the same site. Conducting Safety, Health and Environment risk or hazard analysis and assessment for each site task and operation delineated in scheduled activities. Responsible to develop, review and update an Emergency Response Plan according to Procedure. To assist & supervise in conducting emergency exercises and drills regularly, so as to prepare rig team in successfully managing and controlling any credible emergency scenarios and general alert for random events. Launching and enforcing the Safety Observations (Stop Cards) and Safety Incentives programs. Maintaining and inspecting the CH4 and H2S gas detection system jointly with rig personals. Checks and maintain and to provide H2S Safety & Rescue trainings, SCBA donning and Fire Trainings to all rig personals and visitors. Conduct periodic inspections and audits of breathing apparatus and emergency life supporting equipments on all over the rig. Conduct weekly fire, mustering, H2S gas blow out and oil spill response drills. Conduct weekly inspections of derrick, Helipad and drill floor also general hygiene of living quarters and food inspections of catering & messes jointly with the Rig Medic. Responsible for upgrading and trainings to crews such as Defensive Driving & Driving Safety, H2S Safety & Rescue Training, Fire Fighting Training, First Aid. Conducting audits and inspections of fire hazards and their existing controls in collaboration with the rig crew. Saudi Aramco, Onshore Drilling Project, Desert. And prepare a report on each audit/inspection implemented. Enhancing HSE awareness of its personnel. So as to follow HSE rules at Well Site. Minimizing risks and the impacts of activities. Prepare/report HSE daily/weekly/monthly report in Operator’s designated format. Prepare an incident/near miss analysis report, and implement incident investigation if required. Procedure, implementing strictly the customer’s standard safety rules and regulation. Joint safety inspections with client, Drilling contractor HSE Advisor and own supervision, supervision of gas testing procedures, in-House safety induction for own and client’s workers. Recommendation and means of preventing re occurrence. Sufficient pool of such trained staff to cover all operational requirements. · Participate to and audit PTW's (Permit to Work). · Assist the Tool pusher daily to perform activities, ensure all timesheets filled for drilling crew, Supervises and coordinates activities of workers engaged in drilling oil and gas wells in area consisting of one or more well sites: Directs workers to erect, dismantle, and move drilling rigs, and drilling crews in setting up and operating power units, draw works and other drilling equipment, Plans delivery of drilling tools, fuel, water, and other supplies for use at drill site. Orders type of drilling bits to be used, according to type of strata encountered. Directs workers in mixing drilling mud and circulating mud in borehole, and in use of special drilling mud to prevent blowouts from gas pressure. Qualifications: NEBOSH in HSE, Bachelor of Mechanical Engineering and Arts (Hons. English) and Safety Certificate Contractor (SCC) from Germany TUV. Basic Electrical Safety Lock Out / Tag Out. Confined Space Entry & Working on heights. Rigging and Slinging & Crane Inspections. Breathing Apparatus & Gas Testing. Scaffolding Erection & Dismantling Training. Risk Assessment Techniques and Job safety analysis / Hazard safety analysis. Offshore Fire Fighting Prevention & Protection. 24. Project Crisis Management Team. 25. Incident / Accident Investigation & Reporting. 30. Heat Stress & Snake, Scorpion, Spiders and Rats Hazard. 41. Safety in Radiography Operation. January 1996 to December 1998. 2 Worked with WESTERN GECO SCHLUMBERGER – Pakistan as WELDER from January 1999 to October 2003. 3 Worked with DESCON Engineering (Pvt) Limited - Pakistan as WELDER 6-G from November 2003 to August 2005. A team worker, who has the ability & knowledge to be able to maintain the professional standards with excellent communication skills involving all personnel / companies on the rig site, Reliable, conscientious & committed with Profession. An excellent work experience with GREAT WALL DRILLING COMPANY as a ROUSTABOUT / FLOOR MAN from 15-03-2003 to 31-05-2009 at rig No.30 GWDC (HP 1500). Sindh Pakistan. HSC PASSED IN THE YEAR 2002. Ø Has successfully completed Well cap course- a full course in WELL CONTROL INSTRUCTION at an Institution Accredited by The International Association of Drilling Contractors(IADC), Certificate no:A343256. Ø As gone and successful achieved certificates in various safety courses conducted by RDC. H2S, breathing apparatus awareness, Basic first aid & CPR, Basic sea survival, Basic fire fighting. Presently working with ROWAN DRILLING COMPANY (RDC) as a floor man since june 2008-to1 feb 2012, based at DOHA, (QATAR). Worked with Deep Industries Ltd as floor man 13/5/06 to 27/9/07. Full Name: Ahmad Hamdan AlAfes. * Safe Handling of Chemicals. * Permit to Work System. Doing all calculations required on the Rig floor. Ensures that new crew members are properly trained and familiarized with safety procedures and manuals. Determines down the hole conditions by close observation and interpretation of mud weights, circulating pressures, pit levels, penetration rates, drilling string weights, drilling string torque, etc. and takes action as indicated. Responsible for housekeeping, rig servicing, lubrication, upkeep of the rig during the tour of duty. Supervises and ensures safety of drilling crew as well as effective and efficient operations during tour of duty. Responsible for morale and order within respective crew. Trains drilling crew in safe performance of their duties and the proper care and maintenance of the rig and drill string, including lubrication of equipment and housekeeping. Prepares tour report of drilling activity showing footage made, drilling, dead or lost time, and other work performed, including repairs made to mud pumps and other non-motive rig equipment. Takes any action that is considered necessary to drill safely and efficiently, including shutting down rig. * Experienced in Kelly drilling and Work over rigs. * Combatable in all aspects of land drilling and work over rigs. * Operations and Maintenance of mud pump. Objectives: Seeking a challenging Asst. Driller position at your Company in the oil field. * Competent in executing drilling procedures as per construction. * Receives and follows up Driller’s instructions for the repair and maintenance of various drilling equipment such as mud mixer, shale shaker, distiller and de-sander to ensure trouble free operations. * Suspension of the Well, Curing Total Losses, Deplete Formation Gas. * Ensure safe handling of chemicals and petroleum products. * Participate with fire fighting team in emergency cases. * All the UN safe situations to Eliminate observed unsafe conditions and actions. * Have a good communication with the team. 1. Win 98/ Me/ 2000/ XP/ Visa. 2. Microsoft Office (Word, Excel, Power Point and Outlook). 3. Internet Applications & web browsing. 4. Photoshop and some important designer programs.